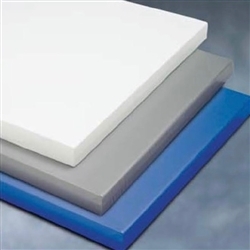 SONEX Clean Panels are designed for environments that require noise control with durable, washable, and cleanable materials. SONEX Clean panels feature Noise Reduction Coefficients (NRC) of 0.80. SONEX Clean Panels are fully encapsulated in fire-rated taffeta vinyl for efficient cleaning and long, durable life. SONEX Clean products meet USDA/FDA requirements. The panels are made from willtec open cell foam and are Class A fire-rated according to ASTM E 84. Available in 17 different colors. Install your SONEX Clean Panels with acouStic Adhesive. Do you need an adhesive applicator? Purchase an Adhesive Tube Applicator and save a trip to the hardware store.